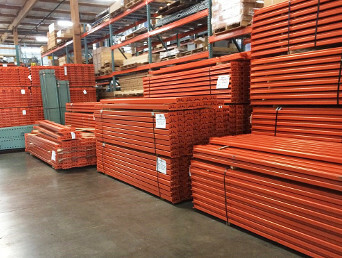 Applied Handling NW stocks a large inventory of new and used Pallet Racking & Cantilever Racking including uprights, beams, arms, wire decking, etc. in our Kent, WA facility for QUICK SHIPMENT. Pallet racking is one of the most effective ways to increase the storage space within your facility for storing your finished goods and other supplies and materials. 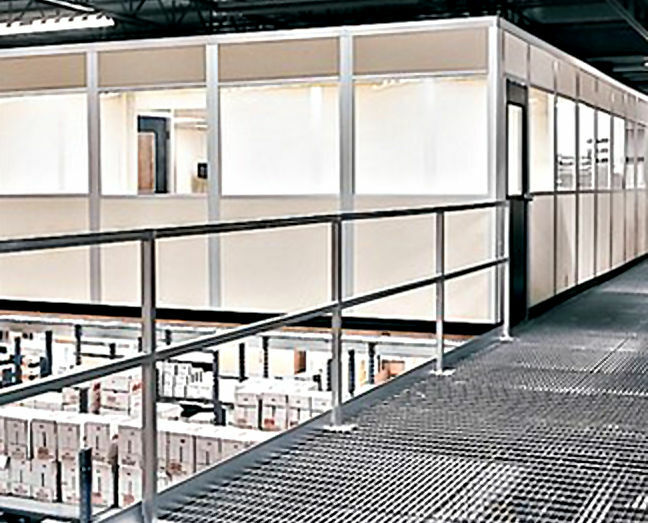 By utilizing the unused vertical space in your warehouse, you can build up and add multiple levels of additional storage space, allowing you to store more goods within your footprint, while also improving your efficiencies. While many companies house their storage rack components outside, where they are exposed to weather elements, we store our new pallet racking inside where it is dry and secure. We also stock used components for those that are just looking for a few pieces to replace existing, or only need a couple of bays. Whether you are needing only a couple of pieces, a couple of bays, or an entire system, we can help. 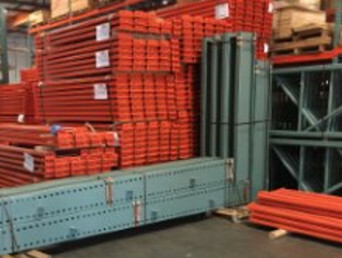 With over 300 years of collective experience in designing, engineering, permitting, installing, relocating and repairing pallet racking systems, we can assist you every step of the way. 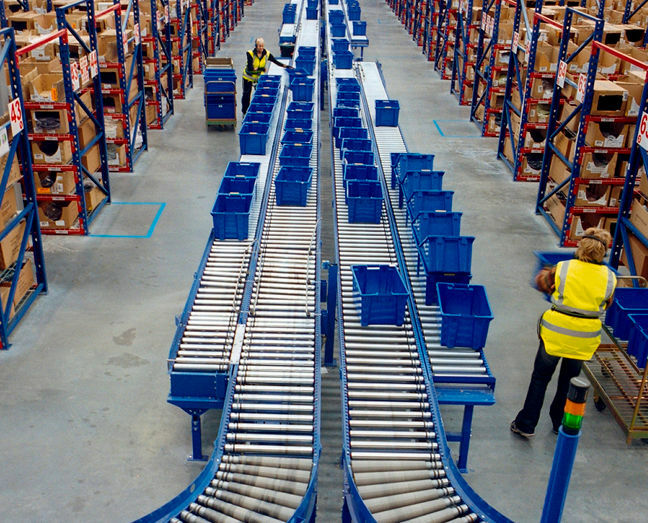 In addition to standard selective pallet rack, we also offer push back, drive-in / drive-thru, pallet flow, carton flow, cantilever, rack supported structures and pick module storage rack systems. Not all pallet rack systems are alike. Depending on whether you need immediate access to every pallet position, or dense storage is a better solution for you based on how many SKU’s you have and the frequency of product turnover; we can help you choose the right pallet rack system for your needs. 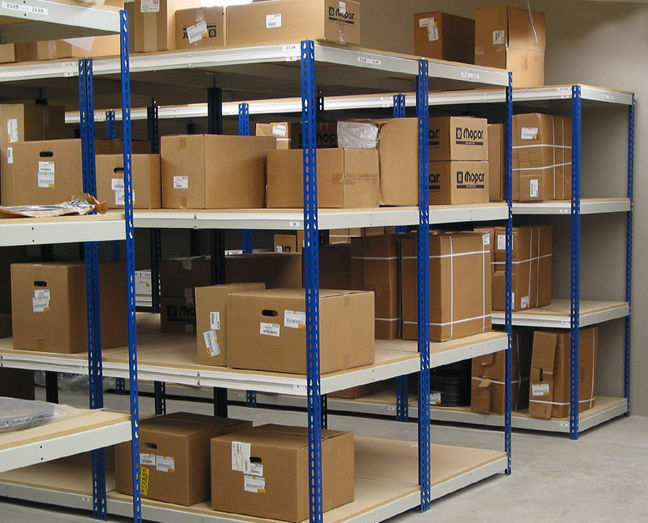 We also have a large inventory of Metal Shelving Components that can be put together to create whatever size and weight capacity of metal shelving units you require. Wide span shelving is also available, which is ideal for storage of archive files, and open and closed styles, together with drawer units, which are ideal for automotive parts storage. 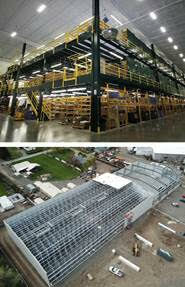 Applied Handling NW, A Division of DACO Corporation, specializes in storage and material handling systems. We provide custom solutions for your storage and material handling needs, including pallet racking, metal shelving, mezzanines & modular buildings, conveyor, automated storage retrieval systems (ASRS), and automated guidance vehicles (AGV’s) . If your business is in need of a custom cart or platform, we can work closely with you, and our in-house fabrication shop, to design a solution specifically for your needs. We also offer an extensive line of hoists & cranes for your lifting and transporting needs. We support a wide variety of clients, ranging from those seeking equipment only, to those who require specialized assistance with integrated handling systems, or designing / redesigning their facility. 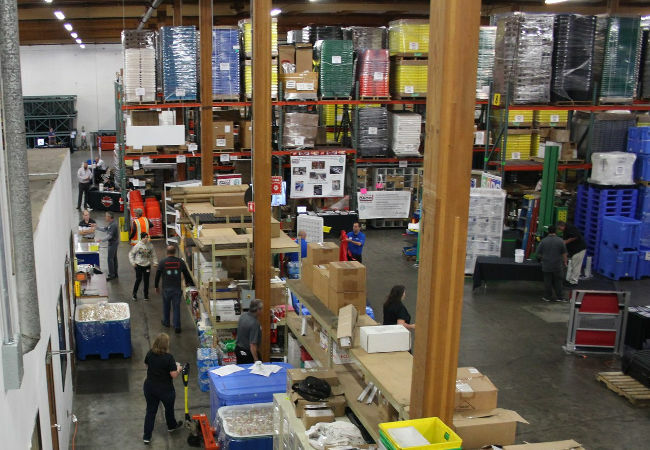 Headquartered in the Pacific Northwest, but working throughout the US, our goal is to become your single-source supplier for your handling and storage needs. Separating Applied Handling NW from the rest, is a commitment to integrity, professional excellence and years of quality industry experience. One of our company’s unique attributes, is the extensive industry experience of our staff reflecting over 300 years of combined material handling experience. At Applied Handling NW, our mission is to supply equipment and design material handling systems to help businesses operate more effectively. 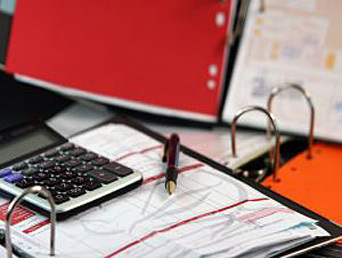 You can rely on our experienced staff and high-quality system solutions to deliver efficient, optimum value solutions. A track record of creating business relationships that last decades, demonstrates a commitment to customer satisfaction that Applied Handling NW prides themselves in offering. 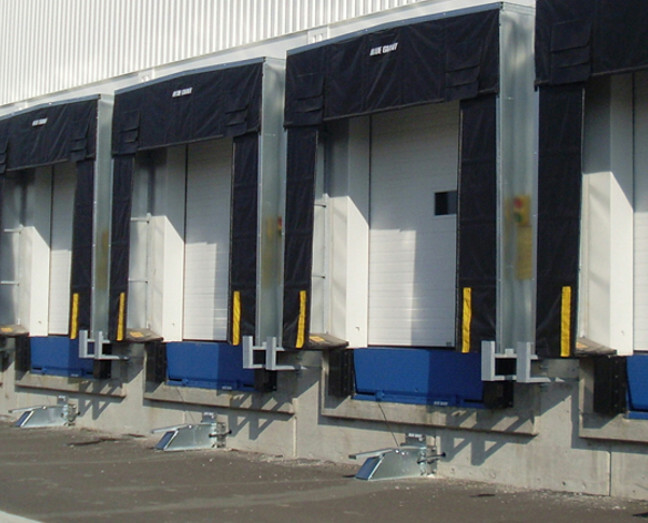 Applied Handling NW, A Division of DACO Corporation, specializes in storage and material handling systems. 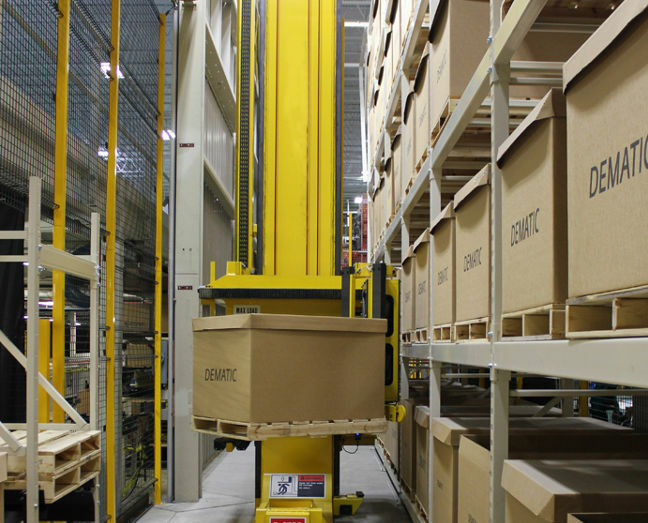 We provide custom solutions for your storage and material handling needs, including pallet racking, metal shelving, mezzanines & modular buildings, conveyor, automated storage retrieval systems (ASRS), and automated guidance vehicles (AGV’s). If your business is in need of a custom cart or platform, we can work closely with you, and our in-house fabrication shop, to design a solution specifically for your needs. We also offer an extensive line of hoists & cranes for your lifting and transporting needs. Pallet racking is one of the most effective ways to increase the storage space within your facility for storing your finished goods and other supplies and materials. By utilizing the unused vertical space in your warehouse, you can build up and add multiple levels of additional storage space, allowing you to store more goods within your footprint, while also improving your efficiencies. 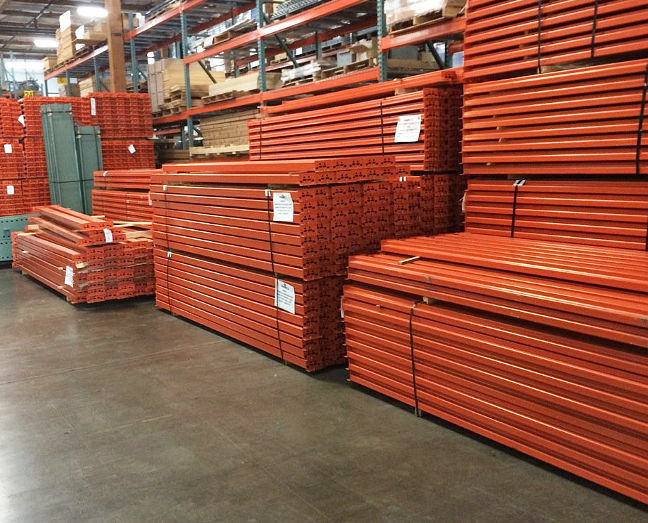 Applied Handling NW stocks a large inventory of new and used Pallet Racking & Cantilever Racking including uprights, beams, arms, wire decking, etc. in our Kent, WA facility for QUICK SHIPMENT. While many companies store their storage rack components outside, where they are exposed to weather elements, we store our new pallet racking inside where it is dry and secure. We also stock used components for those that are just looking for a few pieces to replace existing, or only need a couple of bays. We also have a large inventory of Metal Shelving Components that can be put together to create whatever size and weight capacity of metal shelving units that you require. Wide span shelving is also available, which is ideal for storage of archive files, and open and closed styles, together with drawer units, which are ideal for automotive parts storage. 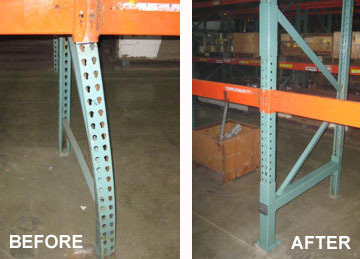 We also offer Pallet Rack Repair Services. 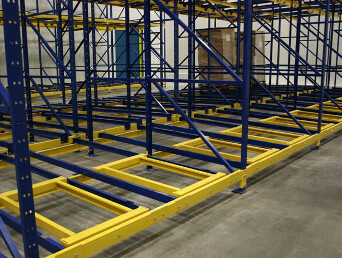 Once your pallet rack is in place, it is vital that it remain in good operating condition. 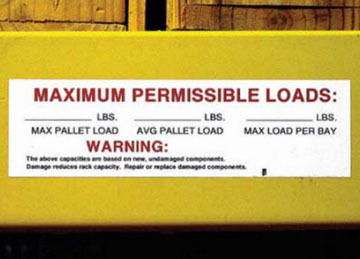 It is common place that many facilities have some form of pallet rack damage, and while it may not be at the top of your list to address, it should be! By putting off repair, you could be putting your facility, products and personnel at risk. 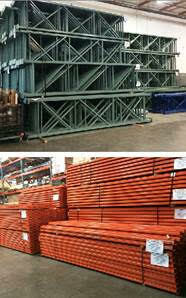 Give us a call or contact us online and we will come out and perform a FREE, no obligation pallet rack damage survey. Expert, knowledgeable project management. We can work with you to design and install custom systems that will meet your specific needs. Unparalleled industry experience and service. 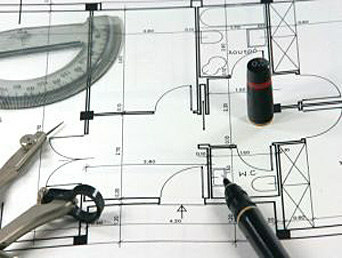 We can assist with project planning & design, building codes, permits, in house fabrication and installation. Offering competitively priced, quality system solutions, including rack supported buildings, pallet racking, industrial steel shelving, and conveyor. Christine Sanchez, A-N-C Cold Storage Construction, Inc.